Unique, easy-to-use digital microscope captures high-quality images (up to 200x magnification!) and bends to allow teachers and students to view even hard-to-see objects! Built-in camera and microphone enable students to record and describe their investigations and inquries, then download them to a PC. 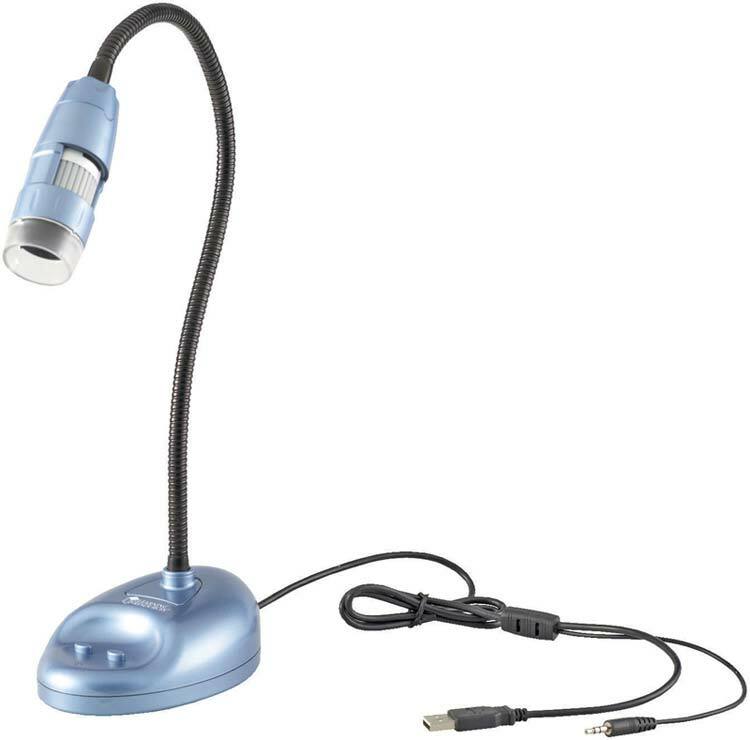 Use with your interactive whiteboard, projector, or PC to encourage class demonstration or individual exploration. Charges and downloads via computer USB port. Features true 1.3MP resolution, 15 fps frame rate, focus wheel, 6LED light, measurement softare (XP, Vista) and SEN with jack. Gooseneck measures 15 3/4 inches.